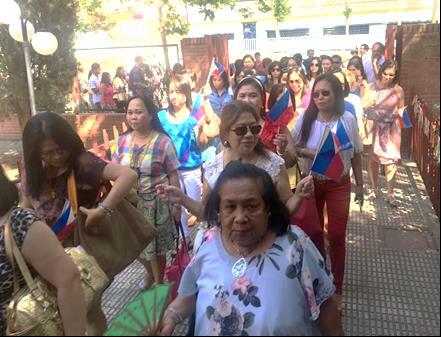 Ambassador Philippe Lhuillier together with the officers and staff of the Philippine Embassy in Madrid, joined around 300 members of the Filipino Community in a Holy Mass in celebration of the 119th Anniversary of Philippine Independence at the Nuestra Señora del Espino. The mass was celebrated by Rev. Fr. Mark Angelo Martinez Ramos, SVD. The program began with a youth-led parade going to the church. This was followed by a rondalla performance by members of the Tahanan Rondalla Group and a dance number by the Asociación de Mujeres Filipinas. 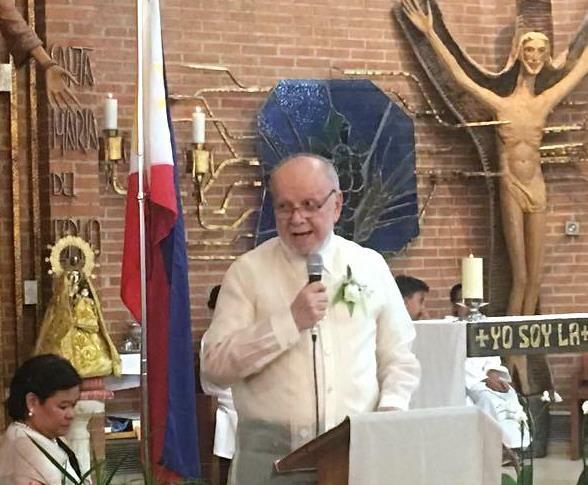 In his message to the community, Ambassador Lhuillier underscored the importance of the personal contribution of every Filipino in effecting the change that our country needs. He also laid out his plans for greater country promotion in Spain and requested the community´s continued assistance and cooperation in the Embassy´s endeavors. Refreshments were served after the event.